Marketing is an important aspect of running any business. In todays digital age, where marketing on the internet is a must. 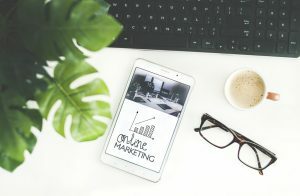 There are many ways to market on the internet, and utilising Search Engine Optimisation is one of them. Most people will ask How much does SEO cost? It is not as simple as that because there are many factors in determining the budget one should allocate towards SEO. Marketing with SEO is not as simple as it sounds. 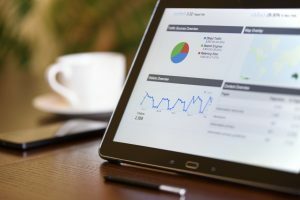 On most situations, SEO results are not easy to measure as other marketing activities may have an impact on your strategy as well. Budgeting for SEO will translate towards your returns as well, and it does not mean that the more you spend the more your returns will be. Like everything else, it is important to always plan on how to use your budget. SEO companies will generally inform you of what is the best to spend on at the beginning. Costing for SEO have to be considered for the following variables. Situation. Where are you currently, in the market? Timeline. How fast do you want to see improvement? Objective. What do you want your campaign to achieve? Based on these 3 factors, most SEO consultants are able to gauge the appropriate budget. While also analysing the competitors ranking in the Search Engine, the budget can be further calculated to be more accurate to achieve these factors. Of course, we can't always know accurately what the competitors are doing. We should still try to come up with the amount of work required followed by the costing needed. The next variable which may also alter the cost is depending on the industry your business is in. Depending on how much your customer is worth. If your business makes $100 from a new customer, you will definitely pay much less compared to client that you expect to make 4-5 digits instead. Of course, sometimes prices are regulated in the marketplace. This all depends on how you view your return on investment. The final cost factor is of course maintenance. Once the objectives are met with the amount of time and money spent, you will also want to look at maintaining at that position. When you have made and improvement, your competitors will also do the same. SEO companies will generally also provide services that help to maintain your current rankings. Most companies who provide SEO Services in Singapore can generally offer a good price. However, you will also want to look at their track record and what kind of industry they have experience in. The average spending budget of SEO in Singapore is about $500-$1000. Some companies are willing to spend more to reach their objectives faster. When you are deciding to hire a SEO company, you will want to do a thorough research so that they are the right one to be working with you. When you are building your business, you will need as much help as you can get. Especially when you need to follow the rules of the platform. When you use common sense to look at the value put on the table, you won't fall for those unethical SEO companies out to make a quick buck. A solid website can help the SEO achieve its objective more efficiently. A website that is built also for amazing user interface on mobile is also crucial. Your website serves as a central to all your marketing and SEO efforts especially when your business is based online. Always think of building a website as an investment, because that is what will bring you success in the long run. When you do not built a site that is user and search friendly, it will hinder the SEO performance. Not all SEO Companies in Singapore have a solid project management suite to follow, but here is something to bare in mind. At the end of the day, we believe return on investment is all that matters. Pricing for SEO services in Singapore are generally all pretty similar. But you will need to look at what kind of strategy each of this companies can provide and see which works best. Generating leads across multiple channels is always a good idea, but it depends on what kind of budget you have. SEO and organic search still tend to deliver the best overall ROI. This is true when we look at brand awareness, client engagement and conversions for lead generation to sales.